F Style Bottles or jugs are plastic rectangular containers as shown in the picture on the right. They feature a built in handle which is ideal for carrying and pouring. 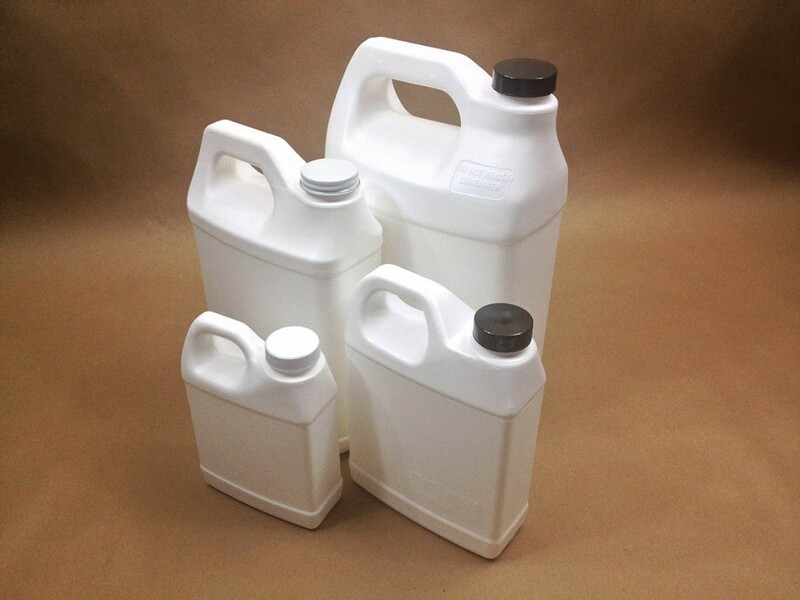 Since these plastic jugs are made of high density polyethylene (HDPE), they are very durable and also food grade. 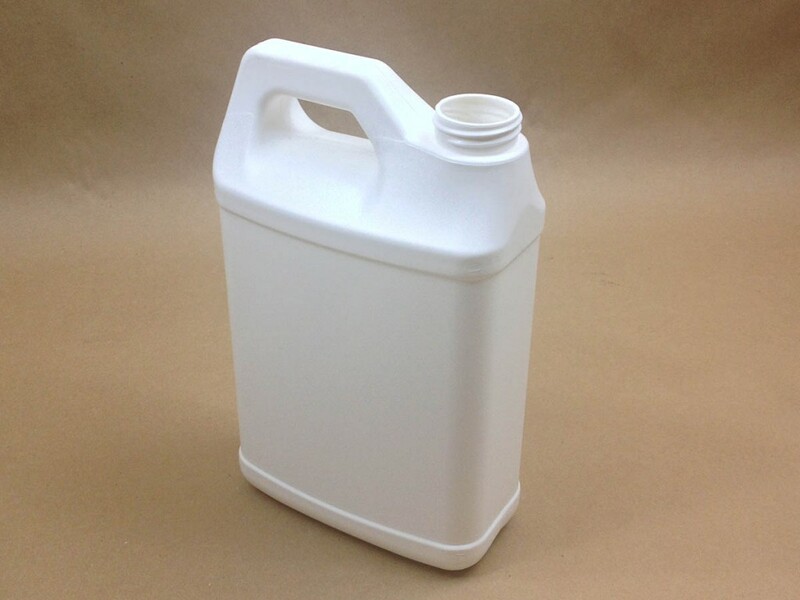 We stock a 16 ounce 33mm white jug, a 32 ounce 33mm white jug, a 32 ounce 38mm white bottle with no handle, a 64 ounce 38mm white jug, a 128 ounce/one gallon 38mm white jug and a 2.5 gallon 63 mm natural jug. Caps for all of the bottles/jugs are sold separately.